A top of the line grand complication for men and an entry-level watch for ladies bookend Lange's line-up for the year. 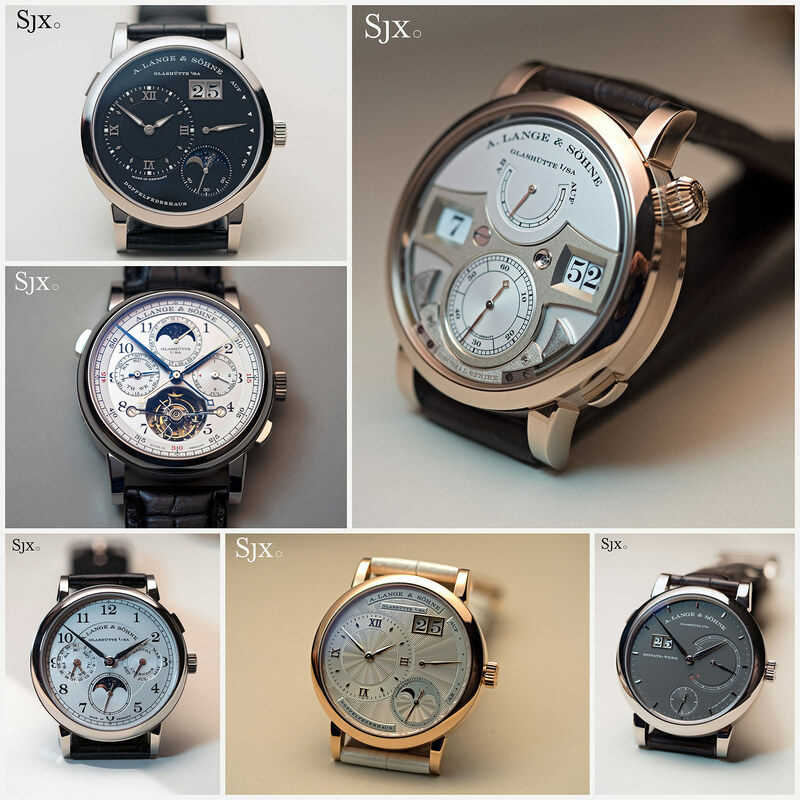 Unsurprisingly the A. Lange & Söhne line-up at SIHH 2017 included a large and complicated watch, the Tourbograph Perpetual Pour le Mérite. 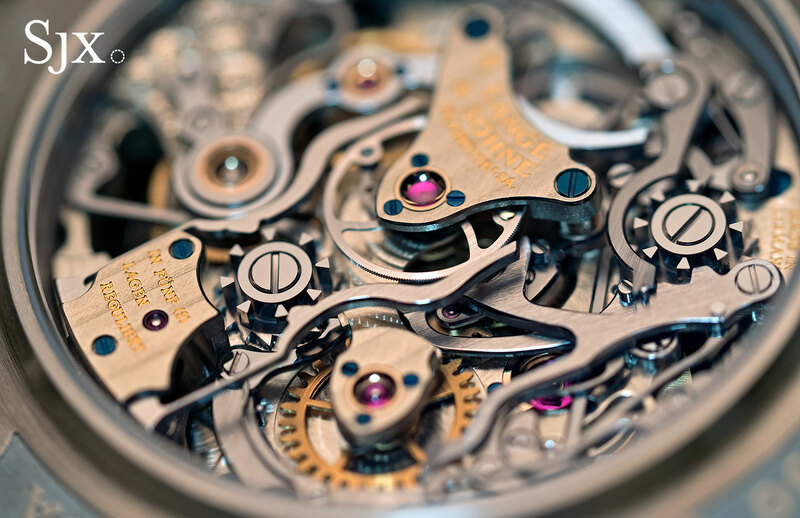 This builds on the original Tourbograph, and has a split-seconds chronograph, tourbillon, perpetual calendar, as well as a chain and fusee constant force. While the new Tourbograph is an impressive complicated watch, its complexity brings with it a size and weight that makes it unwieldy. At 43mm wide and 16.6mm thick, the case is imposing, and being made of platinum, also very hefty. 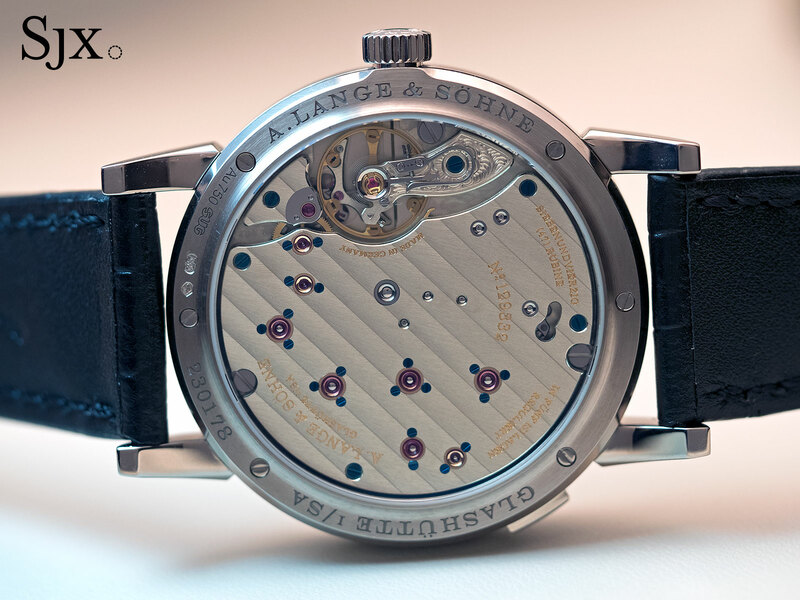 Lange’s movement constructors did a commendable job in building a compact perpetual calendar plate, but it is essentially a bolt-on module on top of the original Tourbograph movement (which is why it is also larger than the original). One consequence of that is the odd, bow-shaped tourbillon bridge. 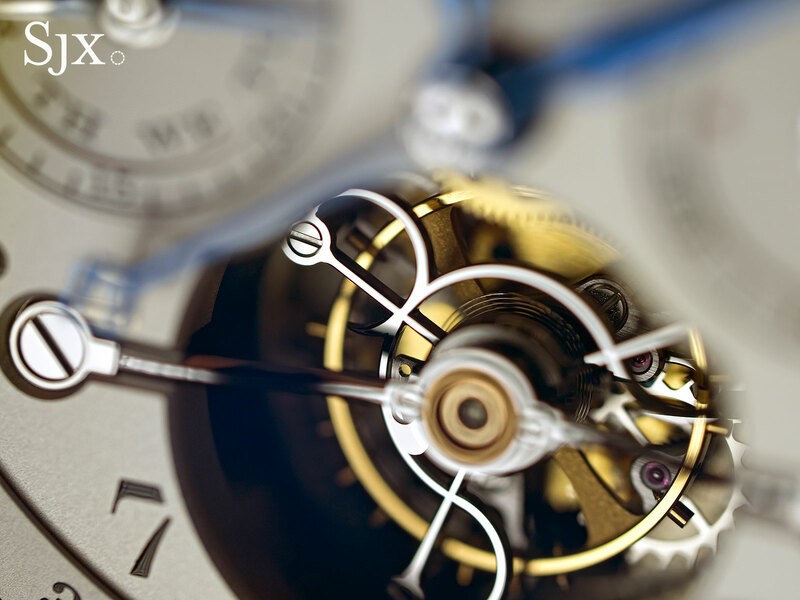 On the original the bridge is straight, but because the tourbillon is now set much deeper into the watch – the extra height is due to the perpetual mechanism – the bridge had to be shaped to accommodate it. Lange rightly points out that the curved bridge is fiendishly difficult to finish, especially with its black polished flat surfaces. But its peculiar curvature feels like an answer to a question that shouldn’t have been asked. 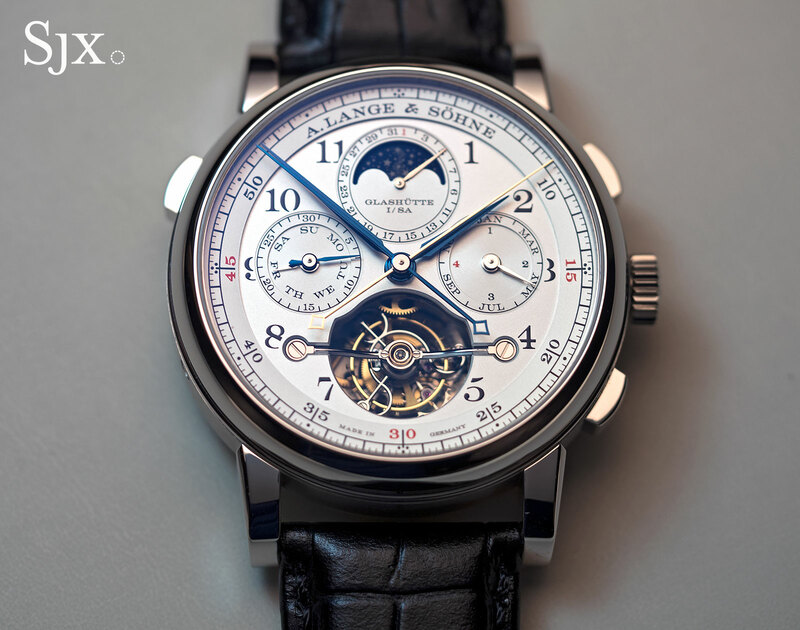 The Tourbograph Perpetual Pour le Mérite (ref. 706.025F) has a price tag of €480,000 – an enormous amount of money but par for the course as such watches go. Simpler but more compelling is the 1815 Annual Calendar. It doesn’t try to do too much, but what it does it does well. 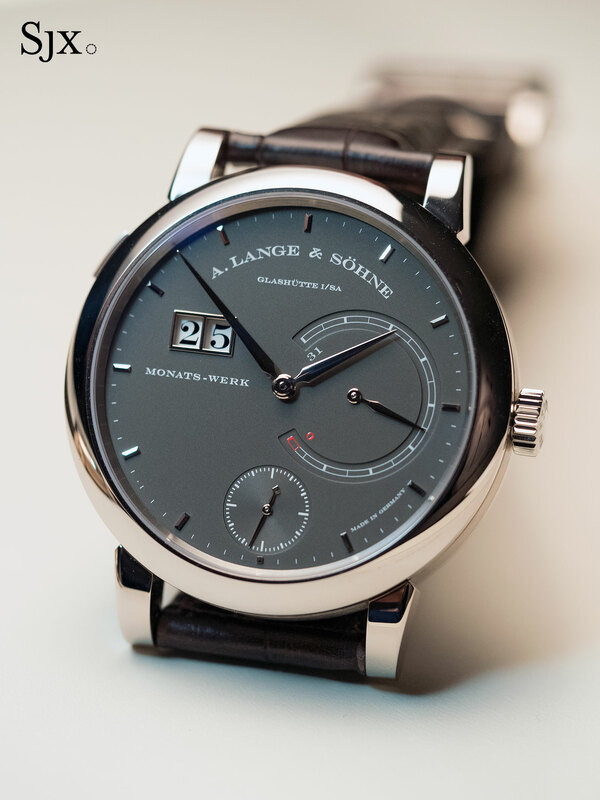 This is Lange’s second annual calendar watch, but reduced to the bare essentials. 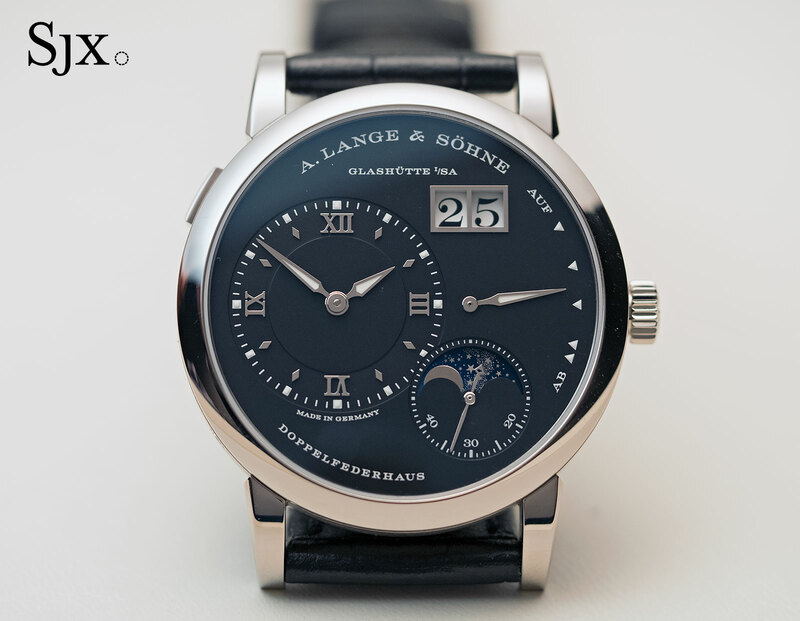 It’s the only Lange wristwatch with a calendar that lacks an oversized date display, instead relying on a sub-dial. While it does sacrifice some legibility, overall the calendar is still easy to read. Another reduction is the fact that the L051.3 movement is manually wound, not too much of an inconvenience given the movement has a three day power reserve. 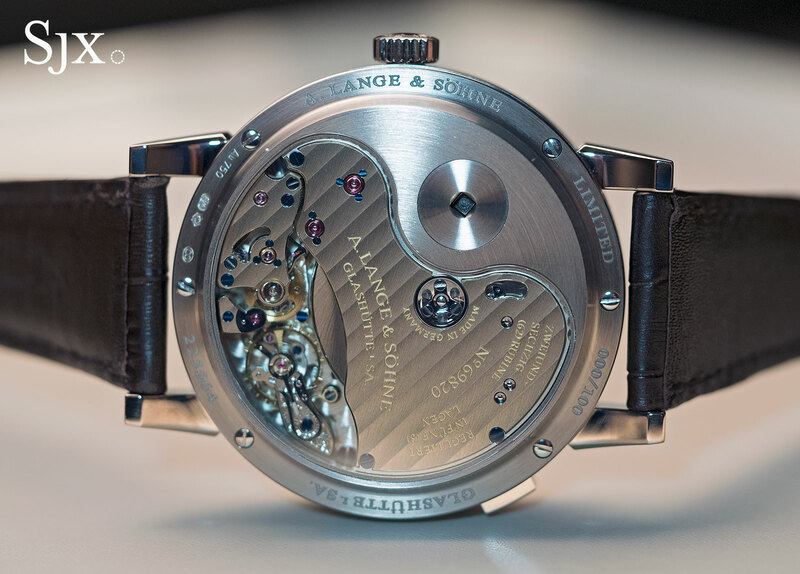 It’s based on the movements inside the time-only 1815 and 1815 Up/Down, with the typical look of a Lange movement. 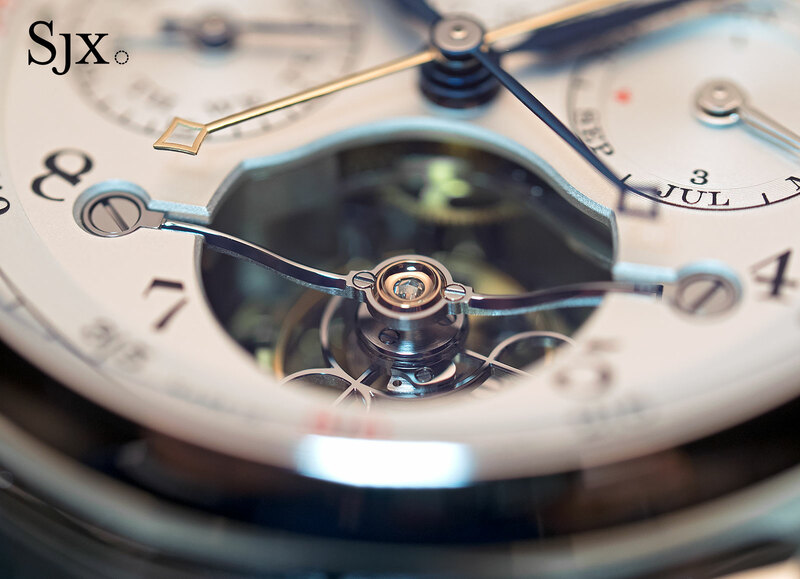 The look on the front is typical of the 1815 range – and also shared by the Tourbograph – being inspired by vintage pocket watches. The particular layout of the 1815 Annual Calendar with its three sub-dials evoke pocket watches even more than usual for the line. Measuring 40mm in diameter and 10.1mm high, the 1815 Annual Calendar is sized just right. It’s available in white gold (ref. 238.026) or pink gold (ref. 238.032), priced at €37,500, making it fairly decent value for money. 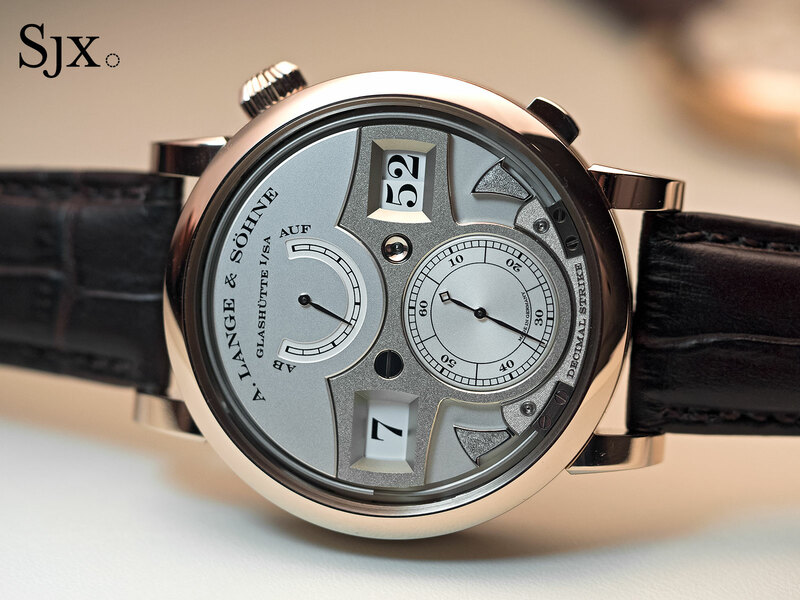 The next watch is pastiche of Lange’s bestselling recent limited editions: Handwerkskunst-lite in a honey gold case. 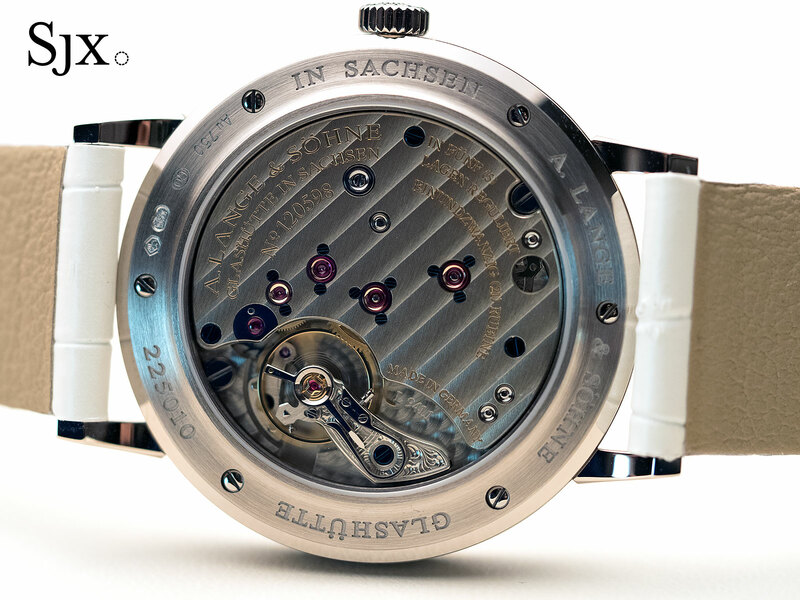 The Zeitwerk Decimal Strike is a variation of the Zeitwerk Striking Time, both of which offer not so much functional complications but whimsical reflections of the passing of time. As its name implies, the Zeitwerk Decimal Strike chimes a high note every 10 minutes, and a low note at the top of each hour. It keeps going all the time, unless turned off by the pusher at four o’clock. With a case that’s 44.2mm wide, the Zeitwerk Decimal Strike is the same size as its cousins, the Zeitwerk Striking Time and minute repeater. And the L043.7 movement inside is also just a slight variation of the movement inside the Striking Time. Notably, the hammers and bridge on the front are decorated with tremblage, a fine hand-engraving that creates a pebbled texture. Traditionally this was only bestowed upon Handwerkskunst watches, the elaborately decorated limited editions Lange conceived every few years. The Zeitwerk Decimal Strike, however, is not a Handwerkskunst edition. The other limited edition characteristic is the honey gold case. A gold alloy that’s harder than normal and blessed with a warm hue that’s a cross between yellow and pink gold, honey gold is found only on limited edition Lange watches, albeit with increasing frequency. 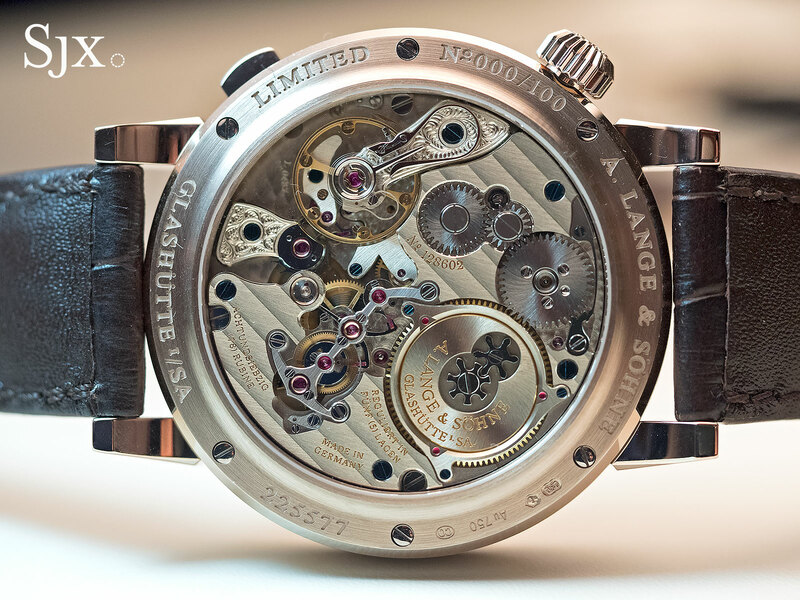 Lange has, or had, an exclusive on this metal for watch cases. 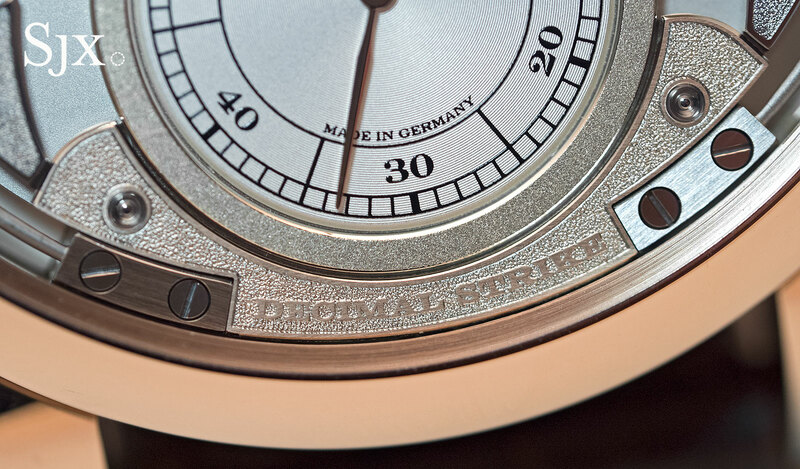 Limited to 100 pieces, the Zeitwerk Decimal Strike is priced at €120,000. That’s just under 10% more than the Zeitwerk Striking Time, which is reasonable considering the case material and dial decoration. 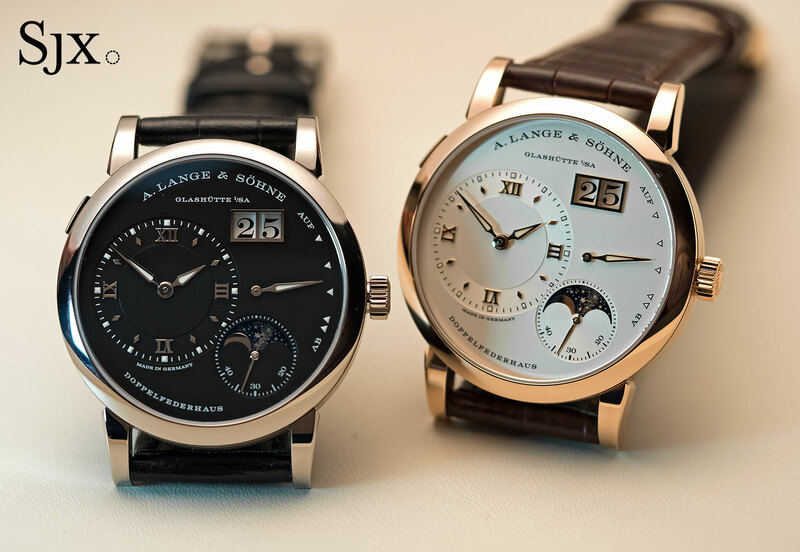 The next complication is the Lange 31 in white gold, paired with a grey dial. 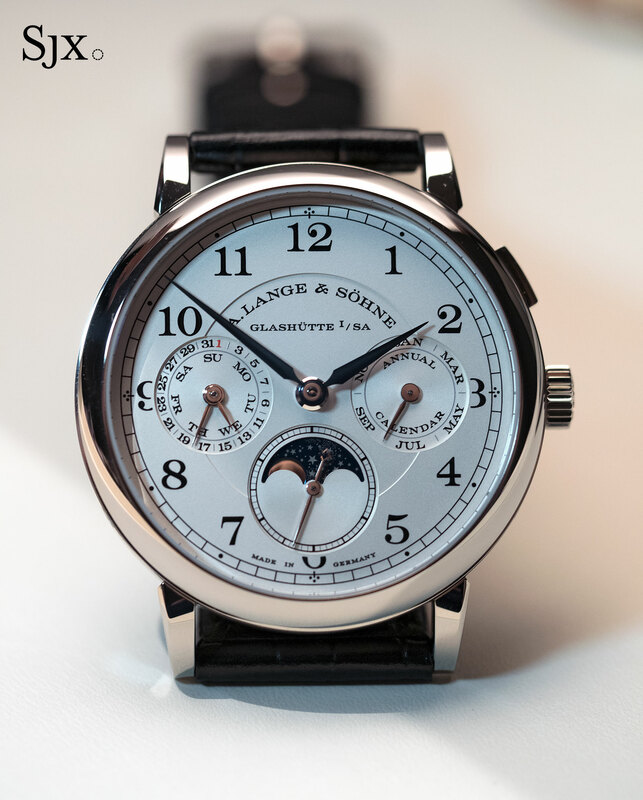 Technically impressive but much too large and mostly unloved, the Lange 31 can run for a month on a single wind. That’s thanks to two mainsprings each almost 6ft long, which is why the watch is 45.9mm in diameter. The new white gold version is just as large, but the grey dial is more attractive – it provides more contrast and tone – than the silver dials offered before. This is limited to 100 pieces, perhaps the final run of the Lange 31, since it was never commercially successful. 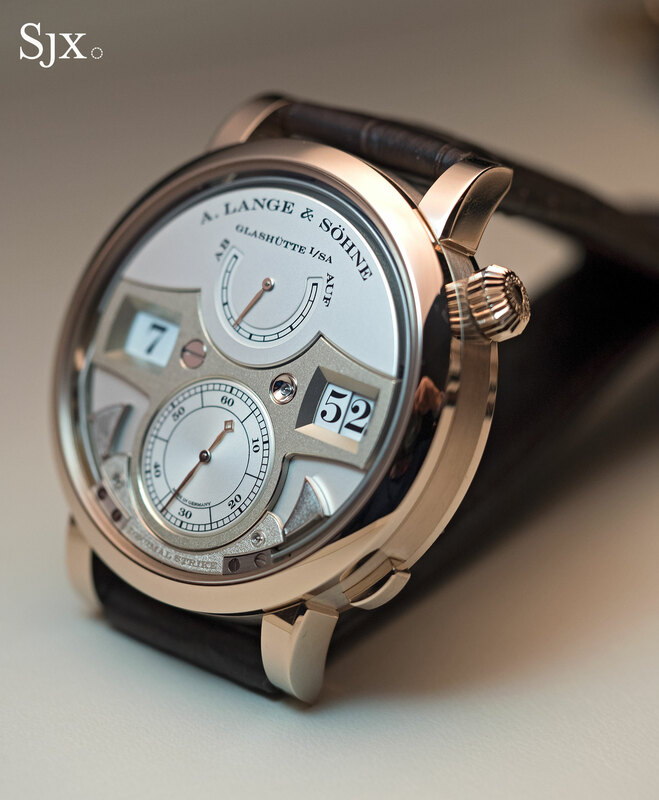 The Lange 31 in white gold (ref. 130.039) is priced at €142,300. And now for the simpler stuff. 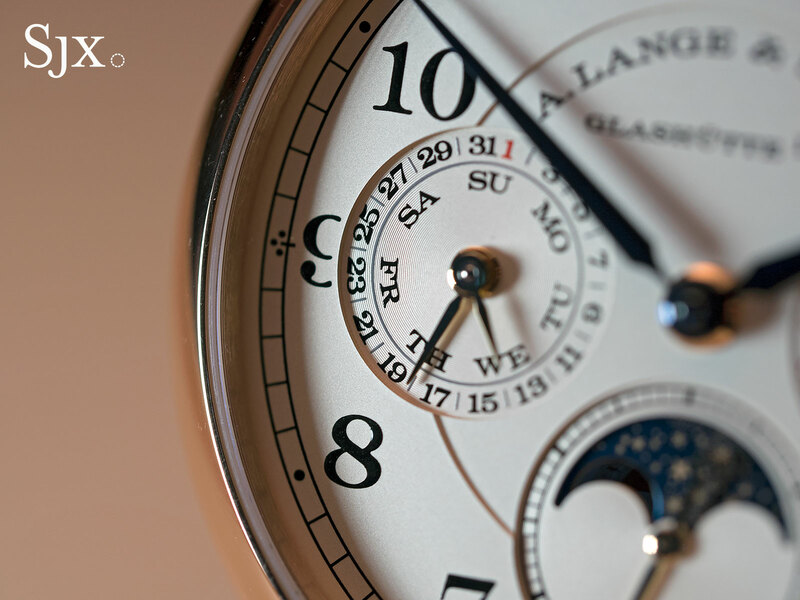 The Lange 1 Moon Phase was announced before SIHH, and adds a discreet day and night indicator to the mix. Powered by the same base calibre as the second generation Lange 1, the new moon phase model looks much the same as before, except the background of the moon phase indicator doubles as a day and night display; half the disc shows the stars while the other half a bright blue sky. Other changes include minor aesthetic tweaks like a stepped bezel and new typography, but the overall look is the same, as is the 38.5mm diameter case. 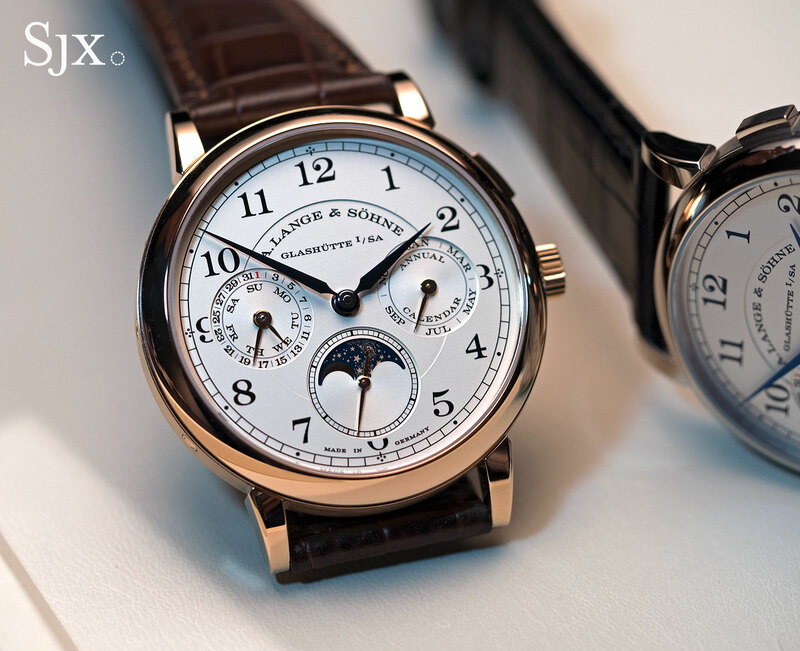 The new Lange 1 Moon Phase is available in the traditional guises of platinum (ref. 192.025) and pink gold (ref. 192.032), both with silver dials, but also in white gold with an unusual black dial, arguably the best looking of the trio. The platinum model costs €52,000, while the gold versions are €39,500. 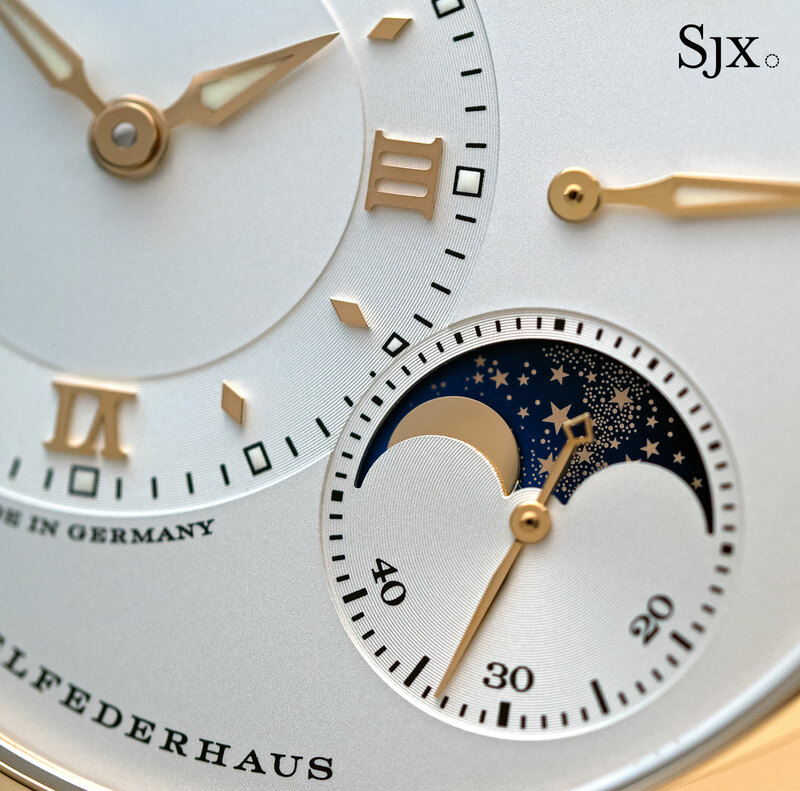 Next is the Little Lange 1 Moon Phase for ladies, which is powered by a different movement from the men’s moon phase. 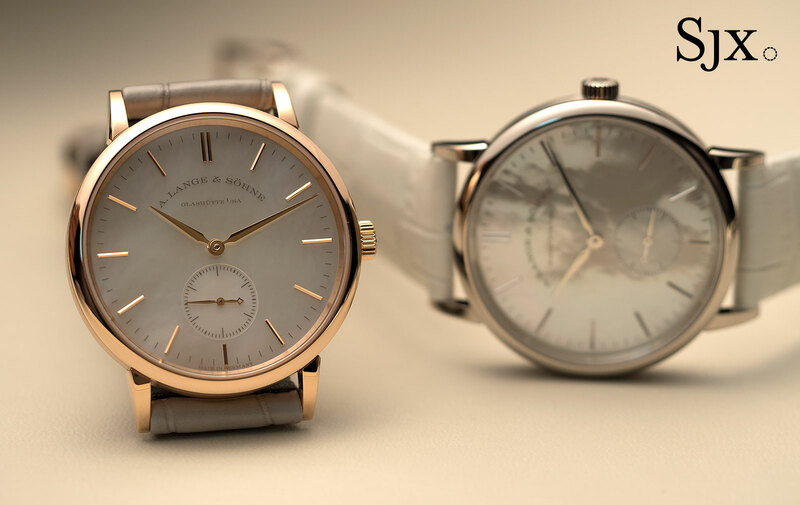 The L121.2 inside is based on the same calibre as the second generation Lange 1, but is a straightforward moon phase, without the day and night display of the men’s version. 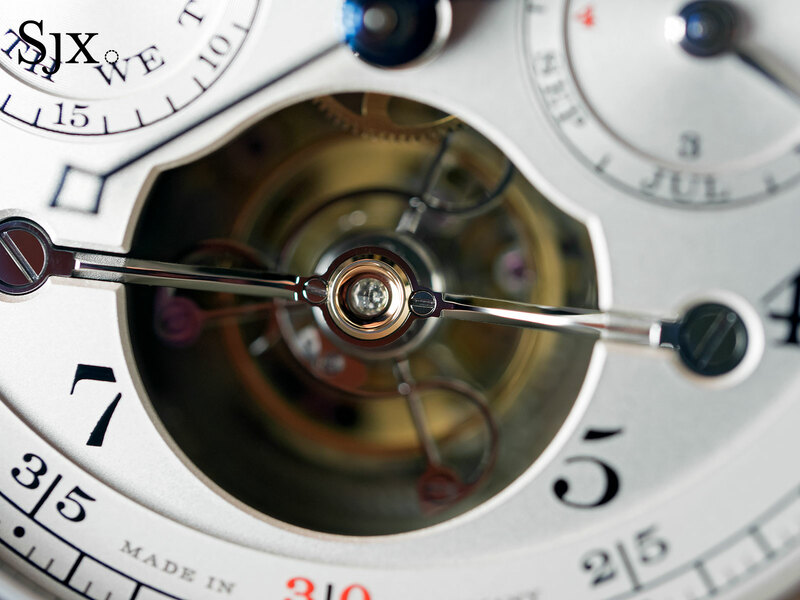 Visually, however, it is anything but simple, with a striking guilloche dial that looks, well, really good. Traditionally found only on limited edition Lange watches, like the Lange 1 20th Anniversary, the guilloche dial softens the look of what is actually a masculine watch. In fact, a black strap would make this work as a men’s watch, despite the smallish 36mm case size. 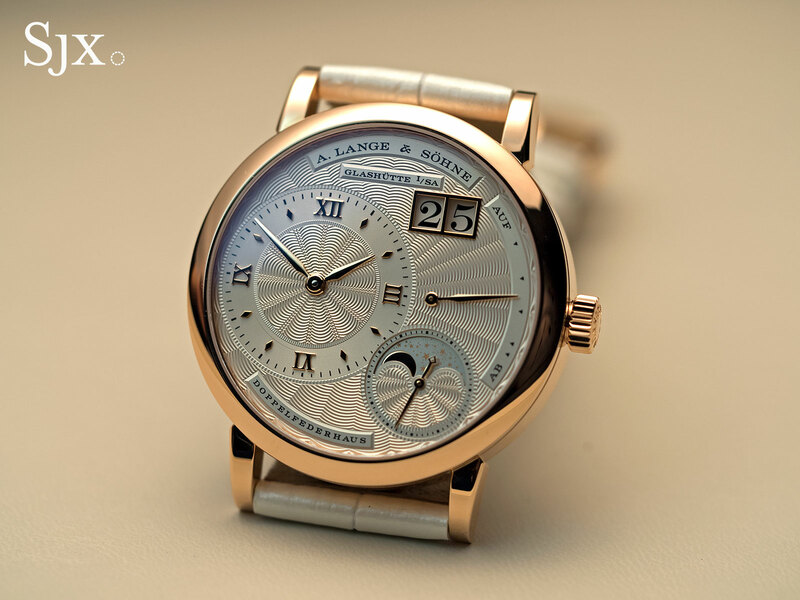 Available only in pink gold for now, the Little Lange 1 Moon Phase (ref. 182.030) will cost €38,500. And the last watch of the 2017 line-up is an entry level ladies’ timepiece, the Saxonia with a mother of pearl dial. 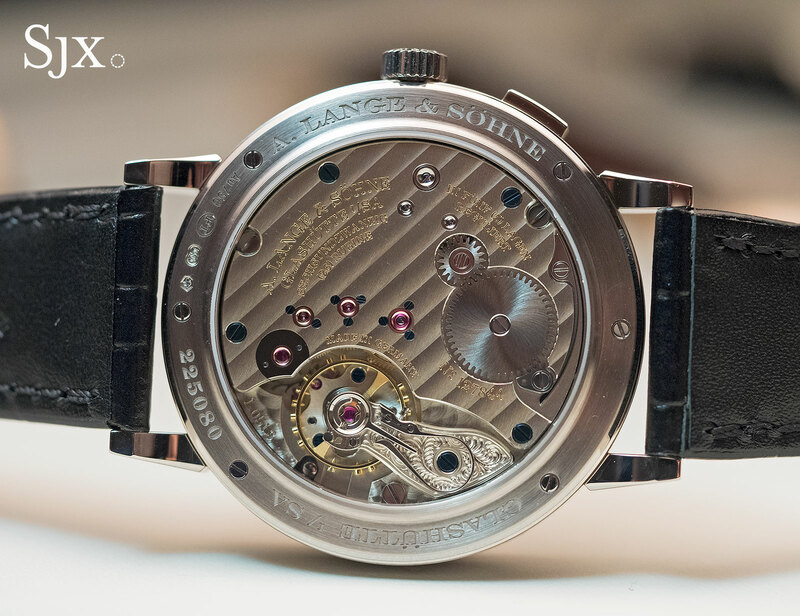 Hand-wound and 37mm in diameter, this is the basic Saxonia dressed up with a iridescent shell dial. It’s the female counterpart to the basic Saxonia for men. Being small, thin and decorative enough, the Saxonia feels like a bona fide ladies’ timepiece, instead of a downsized men’s watch. 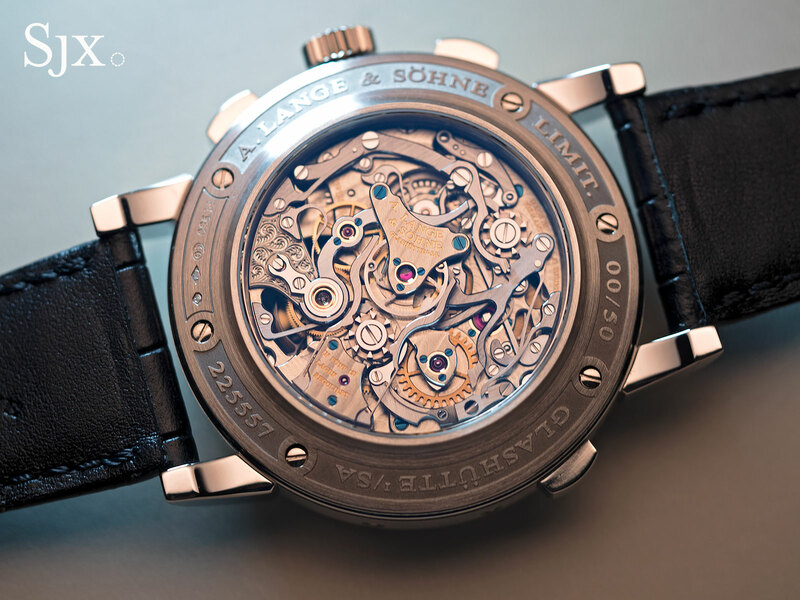 The L941.1 movement inside was originally developed for the first generation 1815 of 1994, so is long in tooth but looks typically Lange and does it job well. 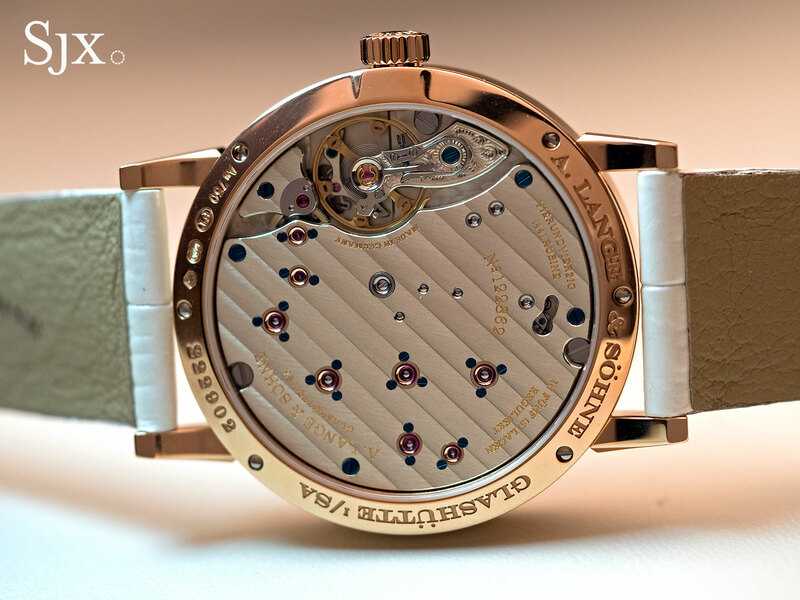 The Saxonia is priced at €16,500 in white or pink gold.